A Command Line Interface guide here. Most video files have at least two different types: the container, and the codec(s) used inside that container. File Format (container): describes the structure of the file; Handbrake can create MP4, AVI, and OGM file formats. Codec ("compressor/decompressor"): is the mathematical routine that compresses the raw video and audio into a stream of bytes. Encoder: is how the data is written into each frame. Each codec will support one or more encoders. 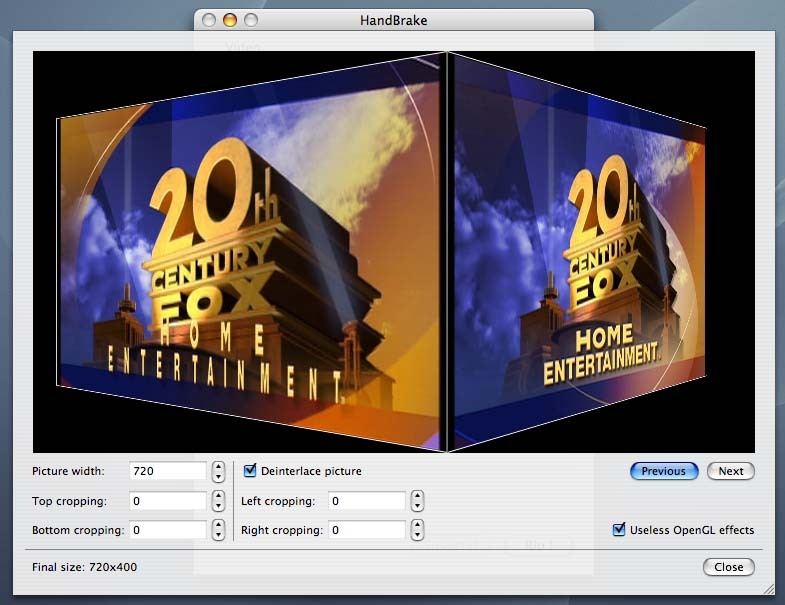 H.264 has: Main and Baseline. MPEG-4 has: FFmpeg and XviD. Use WM9 today and get Micro$oft controlling the A/V market tomorrow for free. Insert your DVD and quit DVD player. … or browse to your folder with VIDEO_TS exctracted from DVD. 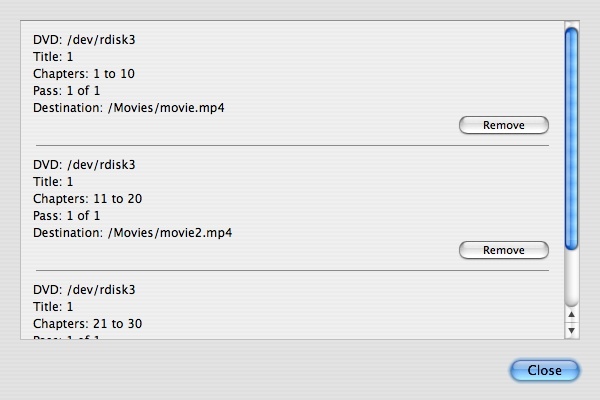 Click Open button and HandBrake will start DVD scan for some seconds. In Source panel select the DVD title, the longest is the first of the list and all (default) or one/some chapter/s. (*) We invite you use and spread these free and open formats, they are best quality than other ones. Then Browse your hard disk to select file destination folder. 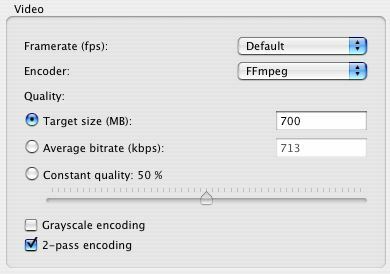 as both are MPEG-4 compliant encoders, FFmpeg is pretty faster on OS X. Set Framerate to Default as is the frame rate of your original clip, and it should stay like that. … or your CD Target size for full video. 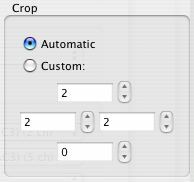 Select 2-pass encoding, it performs a slower but better compression - basically it makes sure you'll get a constant quality so you won't see blocks in fast motion scenes. Though it's disabled by default, is strongly recommend to use it except if you really care about time. You can scale down to width=512 x height=whatever handbrake says to improve H264 encoding speed and the quality is pretty well unaffected. Deinterlaced picture - only to use if movie has visible scanlines. In Audio panel select first (and second language) and audio Sample rate (default 44100) and Bitrate (default 128). Click on Rip button to start encoding, a progress bar show encoding perc, fps speed and time remaining. Encoding can be paused, resumed or cancelled. Note: enter also a value between 400 and 600; higer bitrate = higer quality = higer disk space. Select 2-pass encoding, it performs a slower but better compression. Click on Enable queue check button. Click on Add to queue button to queue tasks. Click on Show queue to list queued tasks. Click on Remove button to remove task/s. Click on Start button to start rip tasks on queue. 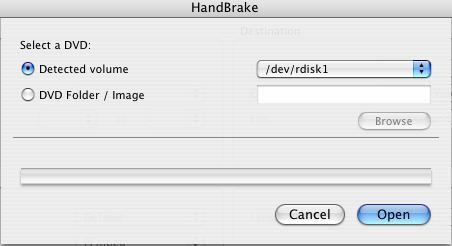 More info at HandBrake WIKI page.